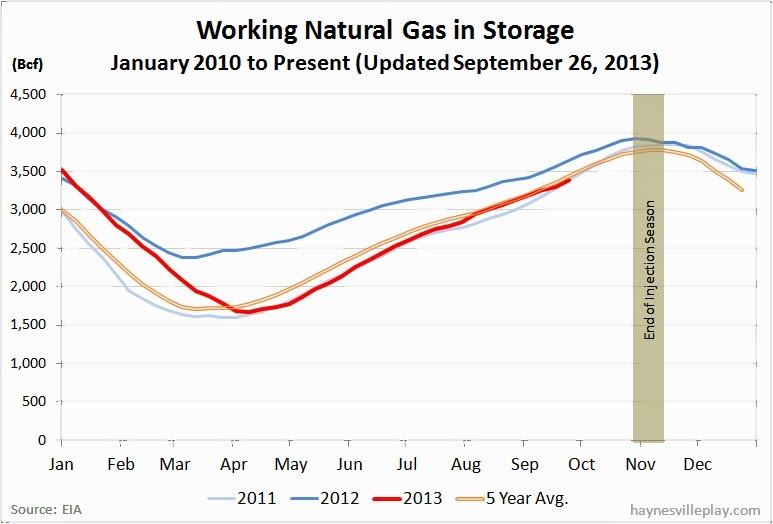 The EIA announced this week that working gas in storage was up 87 Bcf to 3.386 Tcf. The weekly injection was 10% above last year (+79 Bcf) and 16% above the five year average (+75 Bcf). 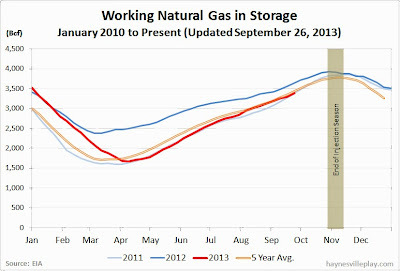 The current storage level is now 5.0% below last year (3.565 Tcf) but 0.9% above the five year average (3.356 Tcf). The average temperature last week was 67.0 degrees, which was 0.6 degrees cooler than last year and 0.3 degrees cooler than the five year average. Only One New Louisiana Completion in Two Weeks!